Xiaomi’s high-end Mi 8 lineup has grown to include two new members. 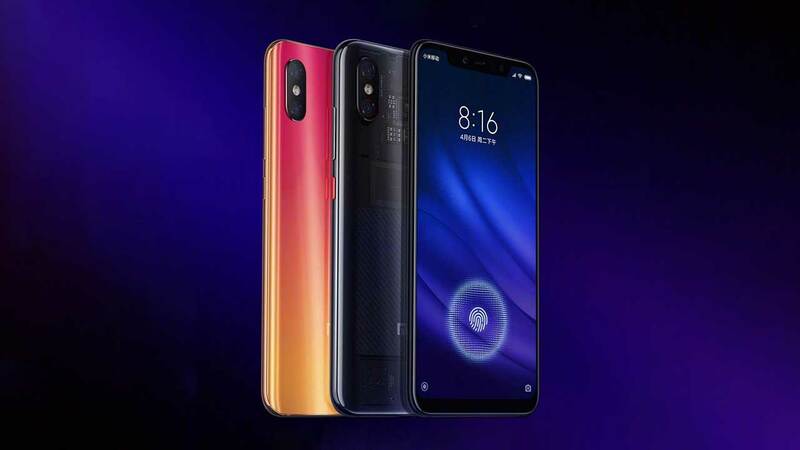 Merely months after the launch of the Xiaomi Mi 8, Mi 8 Explorer Edition, and Mi 8 SE, Xiaomi debuted the Mi 8 Pro with an in-screen fingerprint reader (only the second on a Mi device) and Mi 8 Lite, which unapologetically takes aim at Apple’s new iPhone for the “masses,” the iPhone XR. In China, the Xiaomi Mi 8 Pro is priced at ¥3,199 (around P25,195 or $467) for 6GB RAM and 128GB of non-expandable memory, while the model with 8GB RAM and 128GB storage is ¥3,599 (P28,346 or $523). Preorders for the phone have started, and the first batch of units will ship from September 21. The Xiaomi Mi 8 Lite comes in at ¥1,399 (P11,018 or $204) for 4GB RAM and 64GB storage, ¥1,699 (P13,381 or $248) for 6GB RAM and 64GB storage, and ¥1,999 (P15,744 or $292) for the 6GB RAM and 128GB storage model. It is already available for pre-booking, too. Shipping begins on September 25 in China. The colors options are Dream Blue, Twilight Gold, and Black. 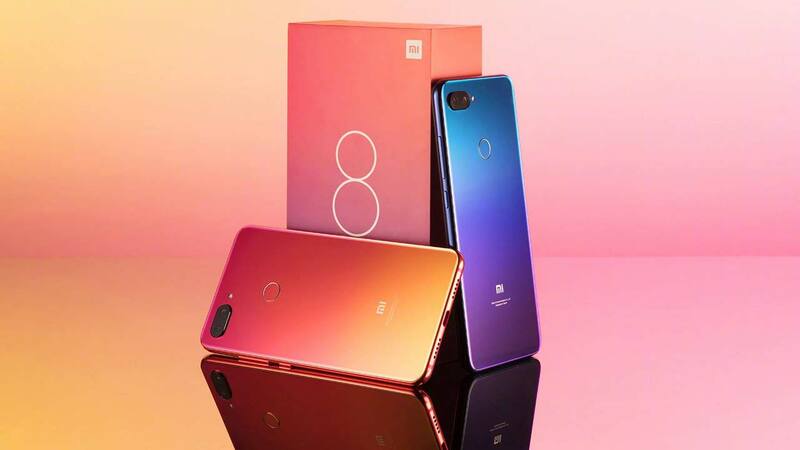 Unlike the smartphones that came before them, both the Xiaomi Mi 8 Pro and Mi 8 Lite tout color-shifting, gradient designs, similar to the Huawei P20 and P20 Pro — along with powerful specs and features for their price points. The Xiaomi Mi 8 Pro is a lot like the Mi 8, but with the fingerprint hardware built into the OLED panel. Let’s start with the Mi 8 Pro, which is a lot like the Xiaomi Mi 8, but with the fingerprint hardware built into the OLED panel, as opposed to having it on the backside where it interrupts the design aesthetic. Its in-display scanner is said to be more sensitive to pressure, making it almost 30 percent faster and 9 percent more accurate compared to that of the Mi 8 Explorer Edition. 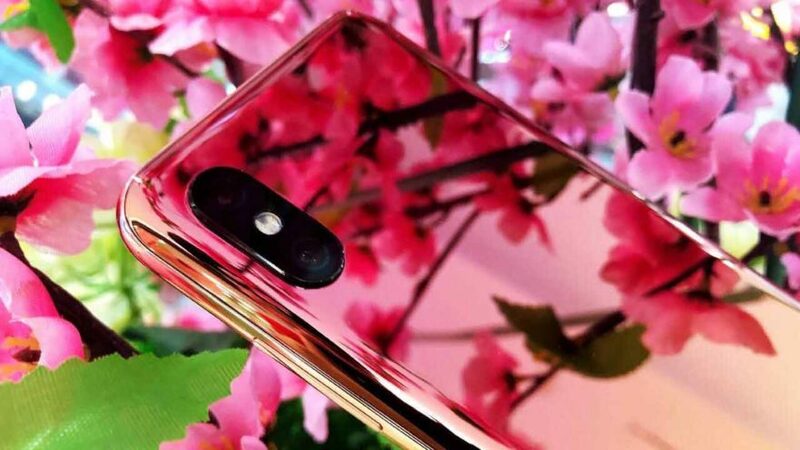 The Xiaomi Mi 8 Pro also has a glossy rear finish, with one of the colorways featuring a pinkish gold color with a gradient effect, which allows the two shades to blend in seamlessly. The Ochre Black version, meanwhile, uses a translucent material around the back to give users an idea of how its internal components are arranged. Specs-wise, the Mi 8 Pro is identical to the regular Mi 8. The OLED screen measures 6.21 inches diagonally and has a resolution of 2,248 x 1,080. There are 12-megapixel cameras on the back, while the front-facing camera is 20 megapixels. The latter is located in the notch, next to the IR camera and illuminator. The device also runs MIUI 10 based on Android 8.1 Oreo on a top-of-the-line Qualcomm Snapdragon 845 processor, with 6GB or 8GB RAM and 128GB of storage. The battery is rated at 3,400mAh and supports fast charging. The Xiaomi Mi 8 Lite keeps the overall glass-bodied look of the Mi 8 Pro, but drops the in-screen fingerprint scanner and instead carries a conventional physical reader on the rear. The Xiaomi Mi 8 Lite keeps the overall glass-bodied look of the more expensive Xiaomi phone, but drops the in-screen fingerprint scanner and instead carries a conventional physical reader on the rear for unlocking the device. It also has a slimmer profile, narrower bezels, and a smaller notch than the Apple iPhone XR. The dual cameras, positioned horizontally, get 12- and 5-megapixel sensors. A higher-res, 24-megapixel selfie camera sits in the notch on the opposite side. A Snapdragon 660 processor powers the Mi 8 Lite, contrary to earlier speculation that it would use the faster Snapdragon 710 like the Mi 8 SE. Additional specs include a 6.26-inch LCD screen and a 3,350mAh fast-charging battery.